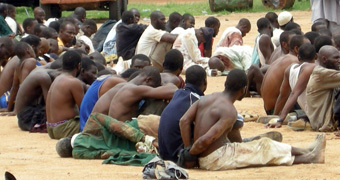 Why we can’t execute Boko Haram convicts —AGF - BlogIT with OLIVIA!!! The Attorney General of the Federation, Mallam Abubakar Malami, said yesterday that convicted members of the Boko Haram sect in the country could not be executed because the laws under which they were tried did not prescribe death sentence. He disclosed this at the launch of amnesty’s report on Global Death Sentences and Executions 2015, in Abuja, yesterday. The attorney-general, who was represented by Sylvester Imahanobe, also promised to work with Amnesty International to stop executition of convicted criminals in the country, if the international human rights body proposed a bill to that effect. Malami revealed that the country was working towards ensuring that the prison system was corrective and not punitive, as it is currently.